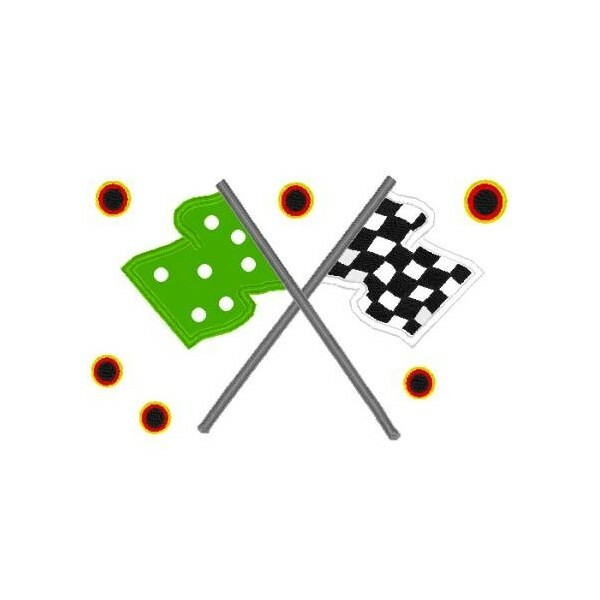 This design is a very large applique Racer Flags. This design is a very large applique` design. The size of the design is Mega Hoop, 5x7, and 4x4!